As the final point of delivery, the choice of nozzle ultimately dictates spray coverage on the leaf and, most importantly, spray retention on the intended target. 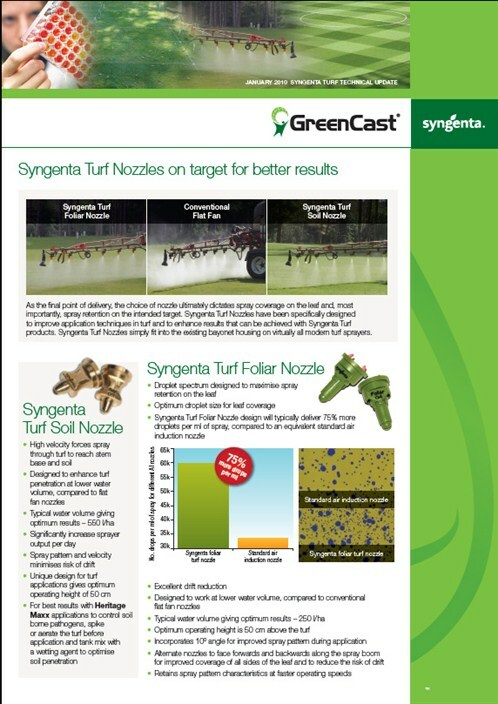 Syngenta Turf Nozzles have been specifically designed to improve application techniques in turf and to enhance results that can be achieved with Syngenta Turf products. 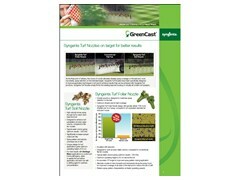 Syngenta Turf Nozzles simply fit into the existing bayonet housing on virtually all modern turf sprayers.